Having more than doubled in its attendance in the last three years, Heathrow’s Funival has become an event greatly anticipated by all of its residents. This year’s Funival will be held on November 13th and will run between 1 and 4 pm. Even though one side of Heathrow Boulevard will be shut down, there is just never enough parking to accommodate the 1000+ attendees for this event and residents are encouraged to either walk or take one of the many shuttle buses. The buses run at throughout Heathrow on a regular schedule and stop at many places as marked throughout the community. 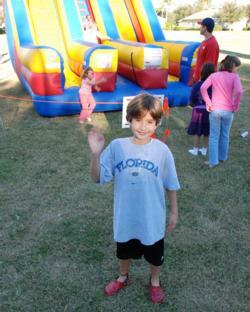 The Funival features a wide variety of activities for kids including: balloon animals, face painting, clowns, dance contests, hula hoop contests as well as bounce houses, train and pony rides and slides. 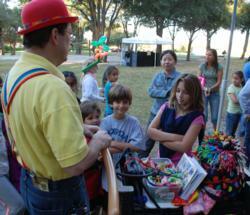 The kids can also enjoy snow cones and cotton candy while enjoying the activities. Cold drinks and hot food off the grill and desserts brought over from resident-volunteers make up the picnic fare.